Florida Polytechnic University officially released Florida Poly 2.0, its blueprint for the future of the University consisting of a five-year strategic plan and the vision for a robust research park adjacent to campus. 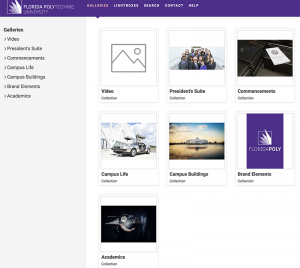 The Florida Poly Multimedia Library provides authorized users with easy access to high-quality photos, videos, university logos, department graphics, and branded digital swag (like desktop screensavers). 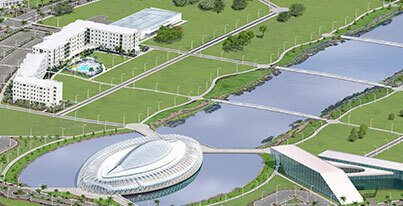 All assets on this website are the property of Florida Polytechnic University, protected by all applicable copyright laws, and made available for official university non-profit educational purposes only. They may not be used in any way without permission and may not be used in any way that could be considered defamatory, libelous, obscene, or fraudulent. Media outlets are welcome to download photos from the Multimedia Library for use in editorial coverage of or pertaining to Florida Polytechnic University. When crediting the source, please credit Florida Polytechnic University. Media outlets who would like to download files but don’t have access should send an email to marketing@floridapoly.edu. Employees who need assistance with the library should submit a project request. These assets are provided for official university use only and should not be manipulated or edited in any way. 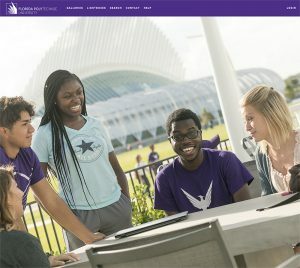 Images of Florida Poly’s campus, trademarks, students, faculty or staff may not be used for advertising, commercial or promotional purposes without prior written permission from the university. For commercial inquiries, please contact University Relations by email or at 863-874-8450.